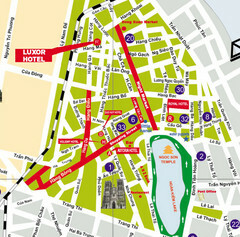 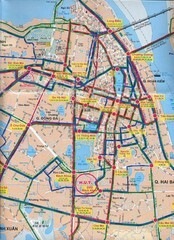 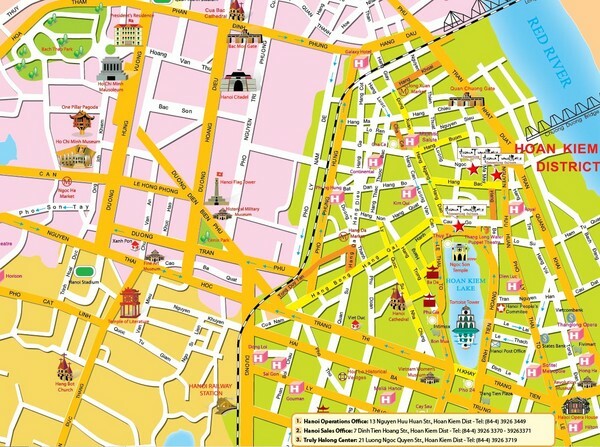 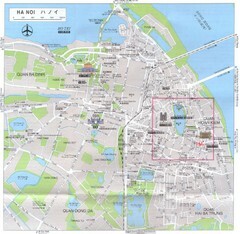 City map of Hanoi, Vietnam. 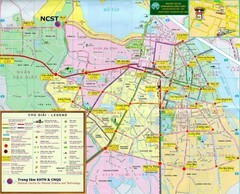 Shows bus routes, train stations, and other points of interest. 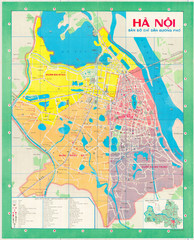 City map of Hanoi, Vietnam. 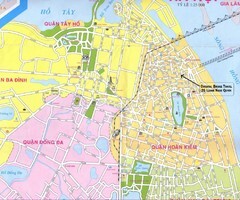 In English and Vietnamese.